Visit TLC’s demo studios to experience new FX and new TECHNOLOGY for your events. FLOATING VIDEO ‘HOLOGRAMS’ – See it for yourself! Say you are working, but we will BRAINSTORM and show you great ideas for events. See the latest technologies for events. Meet the TLC specialists, time for an idea-storm session for your events. See the ‘holographic’ floating video displays in person. 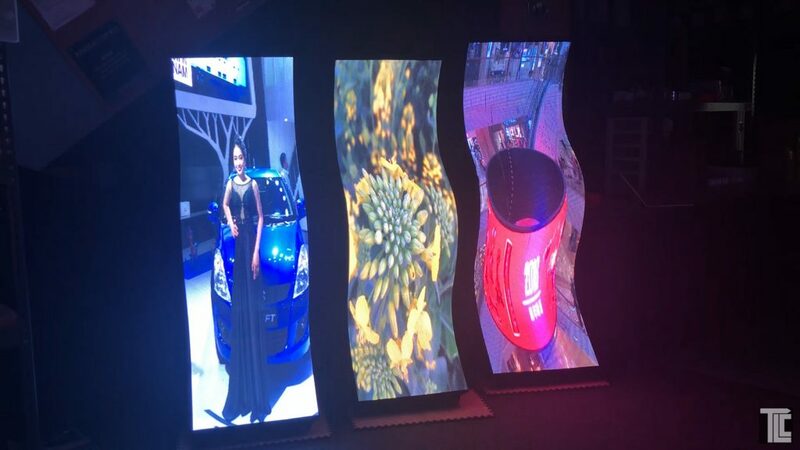 New ‘shaped’ LED video displays are surprising! Live effects can be adapted to your theme or messaging. Pretend you are working, but it’s really new idea time. TLC is INNOVATION for EVENTS – pdf: TLC – Technology meets Creativity! Contact TLC to schedule a visit today.